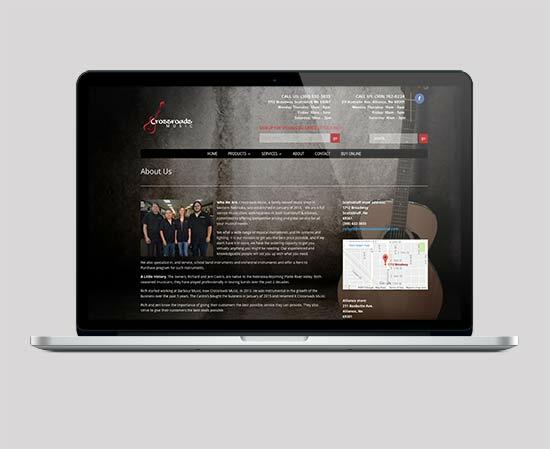 A full service music store, with 2 locations in western Nebraska, the folks at Crossroads are musicians themselves, and are dedicated to helping you find just what you need, at just the right price. 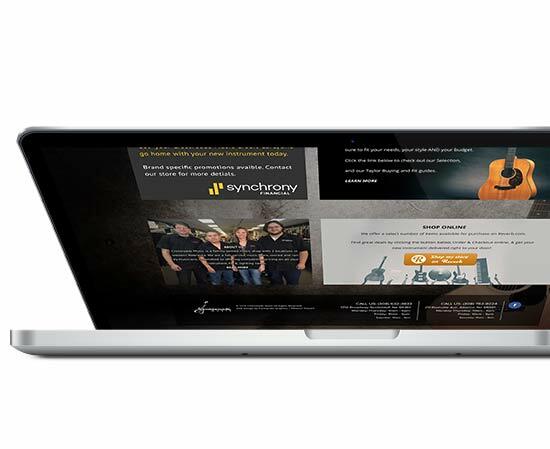 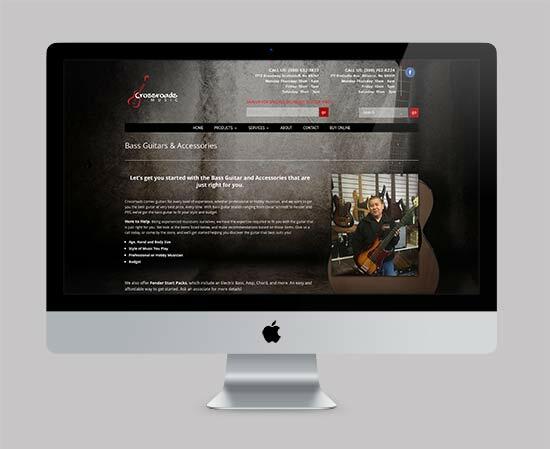 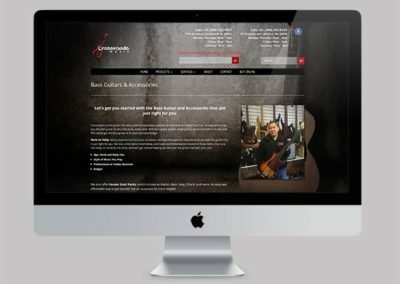 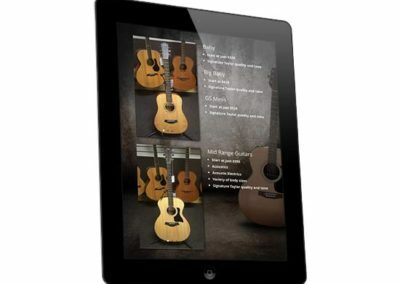 Crossroads Music was in need of a website to make visitors aware of their presence in both towns, emphasize the large range of products they carry and services they offer, and feature the Taylor guitar line they had recently picked up. 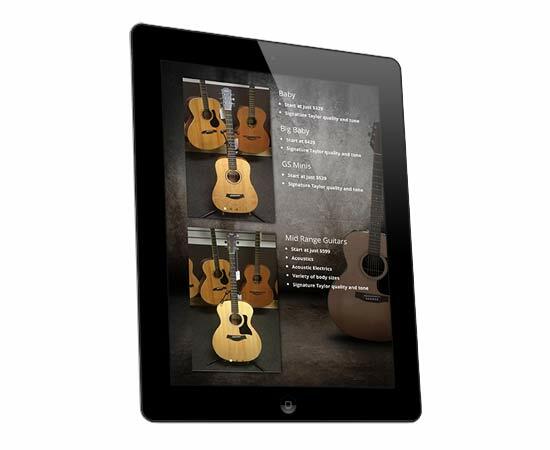 The store also works with the schools and parents in providing band and orchestra instruments available for both sale and rent and needed to make their rental agreement easy to find and download. 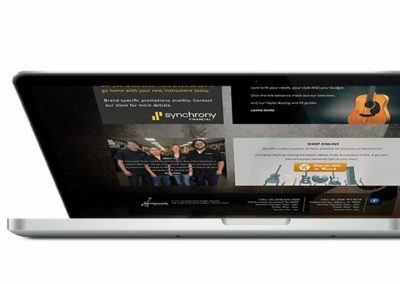 To showcase the wide variety of products and brands they carry, we organized their offerings, created galleries of key items within each page and added brand listings for each. 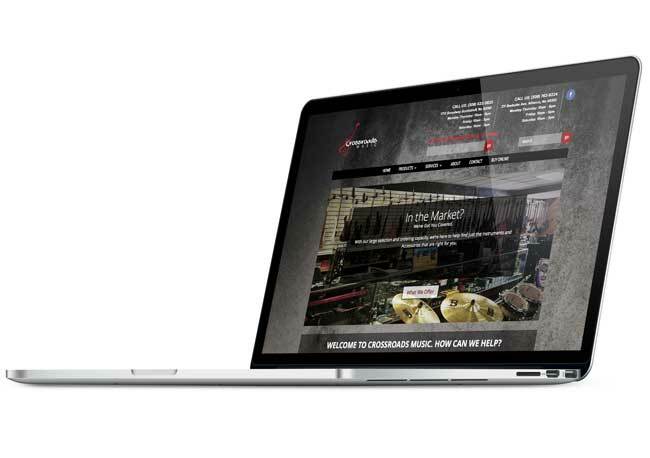 We broke down their Services and gave each a navigation tab, anchoring to that area on their Services page. 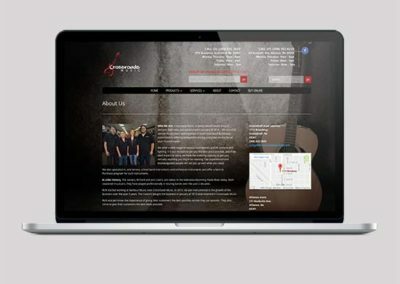 Crossroads is a very customer friendly place, and the employees musicians themselves, so we used benefit driven text to get these messages across.